BEIJING (Reuters) – China is set to lift restrictions on an area in central Henan province, where the country’s second African swine fever outbreak occurred last month, the agriculture ministry said on Sunday. The local government in Zhengzhou plans to officially lift the blockade on Oct. 1, but it must take measures to prevent recurrence of the highly contagious disease, the ministry said in a statement. On Saturday, the ministry said it had removed restrictions in Shenyang, Liaoning province, where the first such outbreak was reported. BEIJING (Reuters) – China has removed restrictions on an area in Shenyang, Liaoning province, where the nation’s first African swine fever outbreak was found last month, the agriculture ministry said on Saturday. The infected area had been sealed off for six weeks after the highly contagious disease was reported there, the statement said. There have been no new cases in the infected area, it added. The world’s top pork producer has seen a steady stream of outbreaks since the first case was reported in early August. BEIJING (Reuters) – China has reported a case of H5N6 avian bird flu on a poultry farm in southwestern Guizhou province, the nation’s agriculture ministry said on Saturday. Local authorities culled 32,352 birds at the farm following the outbreak, according to a statement published on the website of the Ministry of Agriculture and Rural Affairs. (Reuters Health) – Women exposed to secondhand smoke as children may be more likely to develop rheumatoid arthritis than people who didn’t breathe cigarette fumes growing up, a French study suggests. Rheumatoid arthritis is an immune system disorder that causes debilitating swelling and pain in the joints. It’s less common than osteoarthritis, which happens when cartilage on the ends of bones wears down over time. Smoking has long been linked to an increased risk of rheumatoid arthritis. But the new study suggests that secondhand smoke may also increase this risk. SHANGHAI/NEW YORK (Reuters) – The U.S. Food and Drug Administration said on Friday it will no longer allow imports of drug ingredients or medicines made with ingredients produced by China’s Zhejiang Huahai Pharmaceuticals, after a recall of one of its drugs that contained a probable carcinogen. The Chinese bulk manufacturer of the high blood pressure treatment valsartan recalled the product from consumers in the United States in July because an impurity linked to cancer had been detected. 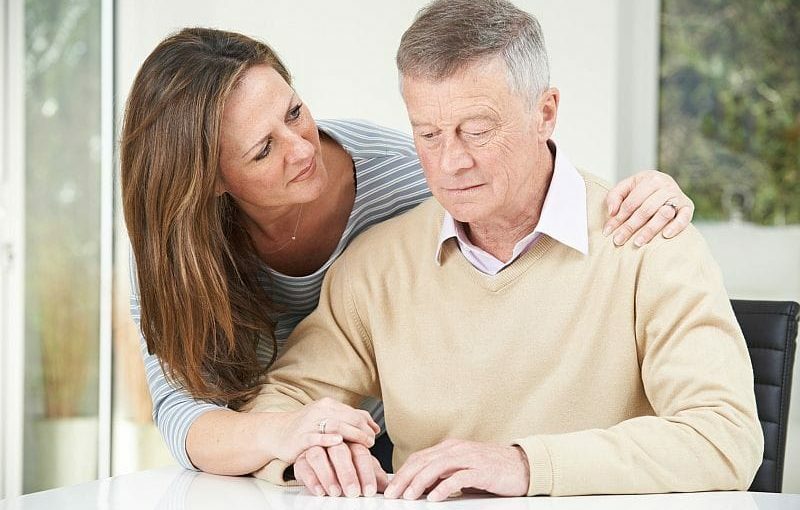 What’s the Dollar Cost of Caring for a Loved One With Alzheimer’s? WEDNESDAY, Sept. 26, 2018 (HealthDay News) — Almost $200,000 over the course of two years. That is the cost of the care that a family member typically gives a loved one with Alzheimer’s disease. That’s according to a new study that attempted to put a price tag on the burden of the day-to-day help that millions of folks with the memory-robbing disease need for shopping, cooking, cleaning, eating, taking medicine and looking after their well-being. (Reuters Health) – Three in five patients hospitalized for heart attacks or other serious cardiovascular problems have at least a moderate risk of falling after they go home, and this risk is tied to higher odds of premature death, a U.S. study suggests. Researchers examined data on 2,456 people hospitalized for heart attacks, heart failure, or a heart rhythm disorder known as atrial fibrillation. Within one year of the hospitalizations, 362 patients died, for a one-year mortality rate of 15 percent. BOSTON (Reuters) – A federal judge on Thursday dismissed a pair of patent infringement lawsuits by Teva Pharmaceutical Industries Ltd that sought to block Eli Lilly and Co from bringing its migraine drug Emgality to market in the United States. U.S. District Judge Allison Burroughs in Boston said the lawsuits failed to raise an actual controversy that would allow her to rule in advance of the U.S. Food and Drug Administration’s approving Lilly’s product on whether it infringed Teva’s patents. (Reuters Health) – Mothers have long been told that “breast is best” when it comes to feeding newborn babies, but a small experiment suggests at least some of the benefits may have nothing to do with the milk itself. Pediatricians recommend that mothers exclusively breastfeed infants until they’re at least 6 months old because it can bolster babies’ immune systems and reduce their risk of ear and respiratory infections, sudden infant death syndrome, allergies, obesity and diabetes. While there’s plenty of research documenting these benefits, less is known about exactly how breastfeeding might cause these improvements in babies’ health, researchers note in Pediatrics. (Reuters Health) – Middle-aged adults who avoid alcohol altogether, and those who consume the equivalent of seven glasses of wine or more a week are both more likely than light drinkers to develop dementia in their later years, a long-term study suggests. With heavy drinking, the increased risk of dementia may be directly caused by nutritional deficits and the toxic effects of alcohol in the brain, and indirectly caused by disorders that are common among heavy drinkers like diabetes, high blood pressure and stroke, said lead study author Severine Sabia of Paris-Saclay University in France and University College London in the UK.